Kent State | i'm on an adventure! Today my Dad informed me that it is the 40th anniversary of the Kent State Shootings. 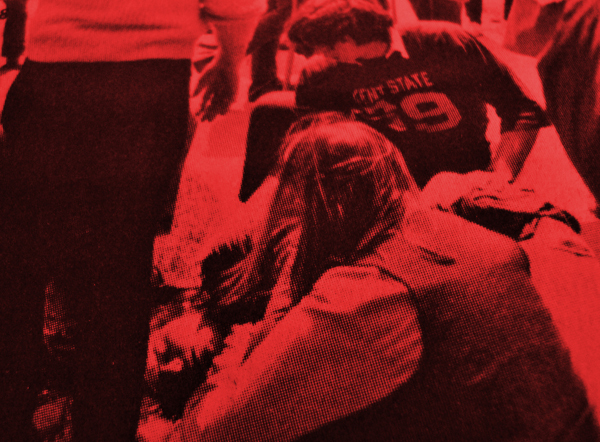 On May 4th, 1970 four student protestors were shot by the National Guard. Dad showed me an informative article published in the National Post that features a very comprehensive breakdown of what happened. The shootings were a major turning point in the history of crowd control and also of public opinion regarding the Vietnam War. I’m glad I got to learn about this historical moment today. With my limited (but still memorable) experience protesting (and my desire to protest in the future if the need arises) situations like this upset me. While the shooting was not unprovoked, I feel that violence is never the answer. I hope we can all look back on this tragic event and remember to always treat others with compassion and understanding.